Our power frequently goes out so a UPS is a must, but worse than the blackouts are the flickering of power on and off. I've lost two expensive items (Roland MC505 and a 120GB external Hard Drive) simply due to the power fluctuating rapidly for several seconds causing the UPS to 'give up' and switch off. I had a Belkin UPS connected to my main PC but it clearly wasn't up to the job despite it being more than rated for the PC's consumption. Sometimes it would cover the outage, others it would simply power down. I needed a good replacement and so opted for the APC Back-UPS XS 1500. Firstly, we have yet to lose power since its installation so I can't really know for sure if the unit will perform when needed, but I'm happy to comment on the unit and software. Now this is a BIG unit, slightly smaller than a PC case and half the width. I'd say it weighs somewhere in the region of 25-30lbs so should be placed on a sturdy desk or the floor. It stands upright, although can be laid flat, and looks well made and solid. On the back are the usual separate surge protected and powered surge protected outlets, but this unit has the most number of battery powered outlets (6) I've seen on a consumer model. Set up was easy and connecting the battery for the first time a breeze. Software installed without a hitch and is extremely comprehenive - something that gives me great confidence in the unit is being able to see recent activity - dealing with brownouts or completely taking over from outages are logged as well as a realtime estimate of how long the unit would cover you for the outage, based on your current load. Also shown is the power consumption allowing you to make an informed decision as to how many more peripherals you can hook up before you overload the unit. Alarms can be toggled through the software and tailored to your specific situation. Currently I have a powerful Alienware PC, external HD, 21" monitor and some sundry peripherals connected to the unit and yet I'm only using about 33% of the allowable capacity - nice to know should I intend adding more hard drives etc. 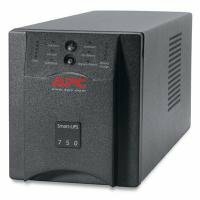 All in all, I've bought several APC UPS products and I feel this is one of the best they've produced - it's going to do the job very well and recommend the unit to those needing a little more power than normal. Works well with my set up. 1pc is a dual xeon p4 with 6 hd drives and 2 burners, dual 17in lcd's. other pc is a 3.2p4 with a radeon 9800 pro and a fast lcd. i also have my cable modem and router hooked up to it. power kept flickering on and off and my other ups couldn't handle 2 pc's. this one can easily handle it and you can add a battery for longer outages but i kept getting tired of a flicker causing my pc's to reset. I dont even bother with the software so i cant rate that but it works great for my needs. so it can drive 2 pcs 3 lcds 1 router and 1 cable modem for over 4 minutes which is enough for most quick outages. it also protects against overvoltages which is nice. if my power went out for longer times i would get the extra battery but i live in seattle and the power rarely goes out for even a full minute. 1. The unit can be positioned vertically (best for saving space) or horizontally (lay flat or mounted to a server rack). 2. 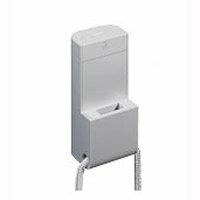 It has a very excellent boxy design that gives an elegant and modern feel. 3. There are 8 outlets in total (6 outlets are battery protected and voltage regulated, which means less dependency on the battery and longer replacement life; 2 outlets are surge-protected for printers and office machines). 4. 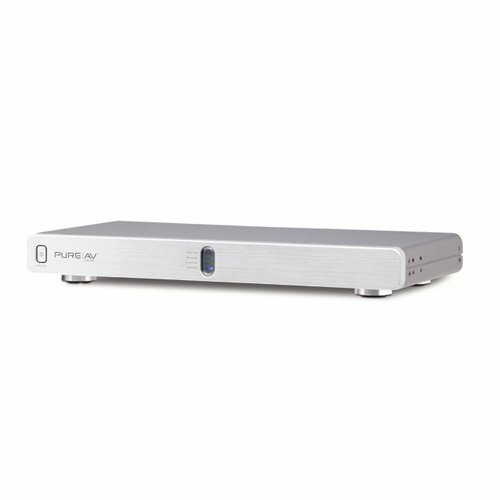 The included PowerChute Personal Edition is to be combined with the data cable that, when connected to your computer via USB, provides excellent control and communication between the UPS, computer and user/administrator. a. You will know exactly how much load is taxing the UPS in real-time; Turn on/off equipment to check. b. Shut-down function to preserve data or battery. c. Audible and visual alarm indication on current condition. 5. Hot-swap battery without turning off the UPS. The cons?Heavy!But then of course it only needs to be set and forget.Expensive!Not for a typcial user.Although the features should be made available for everyone. by American Power Conversion Corp. Manufacturer: American Power Conversion Corp.
Power conditioningProtects connected loads from surges, spikes, lightning, and other power disturbances. Dataline Surge ProtectionProvides protection of connected equipment from power surges on the data lines. Lifetime data recovery warrantyProvides peace of mind by providing professional data recovery services in the event data is lost due to the failure of the unit. Safety-agency approvedEnsures product testing and approval to work safely with the connected loads and within the environment. Audible AlarmsProvides notification of changing utility power and UPS conditions. Automatic self-testEnsures early detection of potential problems by periodic testing of UPS components. Cold-start capableProvides temporary battery power when the utility power is out. Hot-swappable batteriesEnsures clean, uninterrupted power to protected equipment throughout battery replacement. Resettable circuit breakersEnables quick recovery from UPS overload events. Transformer-block spaced outletsProtect equipment with input transformer blocks without blocking access to other receptacles. USB ConnectivityProvides management of the UPS via USB port. This battery pack from Apple is just the right companion for you shuffle on trips with no access to USB ports. Plug in the shuffle into this pack and you are ready to go. And as with any Apple product it just works, you don't have to worry about buying an unknown brand accessory. Also I suspect this should keep working with future generation of Shuffle, since its normal USB based. And possibly other devices like Treo 650, Tungsten E etc which can be charged from its USB port. In short this is perfect and elegant solution to recharge battery on the go for your mobile device and almost certainly future proof. Nice, but infringes the entire iPod Shuffle concept! This was my third APC battery backup.After buying two APC 350s and being very happy with them, I decided to buy an upgraded model.I was very shocked reading some of the reviews.I have none had any "noise" issues with any of mine.All of my are and have been silent.For safety reasons, you must connect the battery.I found this very simple and will only take a minute.You then must allow the batteries to charge.The unit can be used during this time.The software is simple, yet provides a great status readout and several options.I use the 725 as well as 350 for my computer systsem. 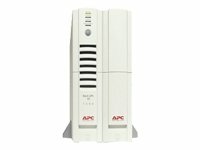 I use my 725 for my most important equipment and get around 10-15 minutes depending on what I have pluged in.The APC support is very good.One of the best business like support for the home I've seen in the computer business.APC as a company feels very professional and secure. I have not a single bad thing to say about the 725 or its similar models and recommend one to all. I purchased one of these from Dell and have used it since Christmas.It's dead quiet and perfectly reliable.From what I read here, the noise issue is a known problem with SOME units, and will be corrected by APC upon request.I just bought another one and will be trying it out tonight.Yes, it's heavy (DUH)... it has a big heavy battery in it, that's how it works.Took me less than a minute to open my first one, connect the battery, and close it up.Maybe the person who had trouble was trying to hold it in one hand and connect it with the other, otherwise I can't imagine why he had trouble.And yes, you have to charge the battery fully before the first use (DUH again).My only complaint is the plug layout.Some plugs are UPS and some are surge only.I would prefer that they ALL be UPS and it be on my head if I overload it and have low backup time (I have several minimal drain devices (LinkSys routers, etc.) that I mainly want to not have to reset after "blinks").Also, the power off button ONLY controls the UPS plugs, NOT the surge only plugs... so half of it's kind of like a surge protected power strip WITHOUT a switch... still scratching my head about that one (the only way to power off the surge only devices is to unplug them from the unit).Anyway, I like it. I'll let you know if the second one is a turkey and what hoops (if any) I have to jump through with it.Right now I recommend this product highly. "Answer ID 6942-Hissing sounds coming from the BE725BB. Why is there a strange hissing sound coming from my BE725BB? The reason for the hissing is linked to a part in the unit that has a non-dangerous irregularity. This is a purely cosmetic issue and is in no way dangerous, nor will it impede the process of keeping your equipment up during a power disturbance. 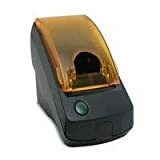 If you have one of these and would like it replaced with a non-hissing unit please contact e-mail support via our support page [http://www.apc.com/support/index.cfm]. You will need to include your model and serial number in the e-mail." I followed instructions and APC promptly sent a replacement unit along with a pre-paid shipping label with which to return the defective unit. Note that you will need your receipt to expedite the exchange process. As with the previous reviewer, I was shocked at how loud the unit is.I just hooked mine up yesterday and it is still humming/grinding away.The weight is not a problem since it was expected - there IS a battery in the unit, so it will be heavy.Regarding the shipping condition - with one terminal being unattached - I do agree - APC should determine a better way to allow easier hookup and reinsertion of the terminal.HOWEVER, the most important thing is that it works! Which it does - after several tests today (unplugging from wall, etc..).This is an adequate UPS - nothing really special. If you are ready to withstand a constant whirring, then go ahead and buy this UPS, because it does work. The shipment box bears the APC corporate motto:"Legendary Reliability".Indeed, I've been using APC uninterruptible power supplies practically since the 1980s, and I've always found them to be completely reliable, as billed.When the power goes out, the computer stays on.When the power flickers, the UPS gives a warning beep or two, but the computer doesn't notice a thing. Of course, batteries don't last forever and circuits may gradually degrade, so I've always made it a point to buy a new UPS whenever I get a new computer.So it was that, with my latest purchase from Dell, I included a pair of the recommended "APC Back-UPS ES 725 Broadband Backup Power Supply" units, one for each computer. When the units finally arrived, I was in for a rude surprise on a couple of counts.The first was the utter unwieldiness of the things.They weigh 18 pounds apiece.For safety reasons, they ship with the batteries unconnected.So my first act as a user was to attempt to wrestle the connector in place without 1) dropping the UPS on my toes and 2) bending or breaking the little plastic doohickey which covers the power terminal.Finally I got the plug in place, only to find myself wrestling with the battery which refused to seat itself nicely so I could get the cover in place. Next step:plug the units into the wall and let them charge for 16 hours.Now that's when the fun really began.Another reviewer described the sound as being like a field of crickets.I only wish.I could live with some soothing chirping.Mine, both units, sounded like a cross between a Norelco rotary razor with rusty blades and a swarm of angry hornets.It was very unpleasant.Was there something wrong with the transformers?Would they burst into flames while I was at work and burn the house down?Would I go crazy from the ringing and cut off my ear like Vincent Van Gogh? After a day of charging the units, it was time to wrestle them in place and plug in the computers.When I hit the power switch for either one, the device got really quiet for a moment, then let out an ear-piercing shriek.Remember the scene where Sam, Frodo and Gollum hid in the Dead Marshes as the winged Nasgûl swooped overhead, searching for the Ring?It was that kind of shriek.My ears are still hurting just thinking about it. No way.Back into the box they went. (It was, I might add, far easier to disconnect the batteries than to connect them. )I contacted Dell, and hopefully they'll take these turkeys back.Otherwise, I guess I'm stuck with really hefty, expensive paper weights. Shame on APC for shipping such monstrosities.Maybe their QC people should take off their headphones and actually listen to the devices they're testing.This makes me very reluctant to buy anything else from APC, even though in truth all of the units at work seem just fine. The 750VA Office Series UPS offers protection for your computer against blackouts and brownouts. It features 4 battery backup outlets with surge protection and 2 surge only outlets. The Broadband unit also features surge protection for broadband applications such as cable modems or other coaxial connected components. 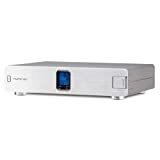 Supports USB connectivity, and comes with a $75,000 Connected Equipment Warranty and a Data Recovery Warranty. 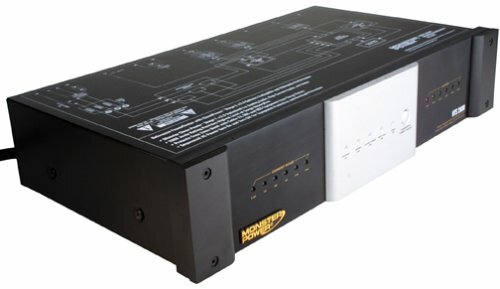 With a capacity of 400 watts this unit is geared towards entry level computers and home electronics. The Office Series also features easy to replace batteries for extended product life, and Automatic Voltage Regulation for line conditioning. Living in the northern plains, our area sees a lot of power outages via lightning, wind, tornadoes, flooding, etc... I have also lots some electrically equipment from a lightning strike. After doing some research I have bought the Belkin 750VA UPS W/Broadband and couldn't be more happier. Hooking up the system and installing the software was easy once you charge the batteries. The software is easy to use as well. I installed the network version of the software which allows me to access the UPS system remotely. So far I have had now problems and I am planing on buy the Office Series 750VA real soon. I live in an area that has frequent power outages.Just a second or two long, these outages will reset my cable modem, my wireless access point, and my desktop computer.To safeguard these devices from suddenly switching off and on, I bought this UPS. 750VA is a decent amount of stored power for a modern computer, giving you at least 15 minutes to finish up and shut down before your computer shuts itself off and you lose your work.It also means that my internet connection will not shut down during a short outage, and thus the laptops in the house can keep browsing the web and answering e-mail. If you have an always on cable internet connection, the surge protection for both power and the coaxial will help prevent damage to computer components.I once had a freak surge destroy a broadband modem, my wireless access point, and the network card on my PC.Needless to say, I don't take chances now, because a surge through a phone line/DSL/or coaxial can go a long way through all your interconnected components. In addition, the plug-ins on the top of the UPS are spaced widely enough to accomodate wide "bricks" being plugged in side by side.Power strips often get clogged by such oversized devices being plugged in, so it was nice of them to think of this and design accordingly. 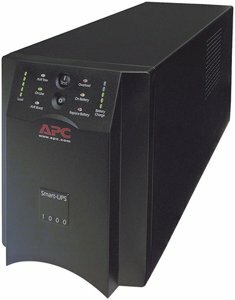 The 550VA Office Series UPS offers protection for your computer against blackouts and brownouts. It features 4 battery backup outlets with surge protection and 2 surge only outlets. 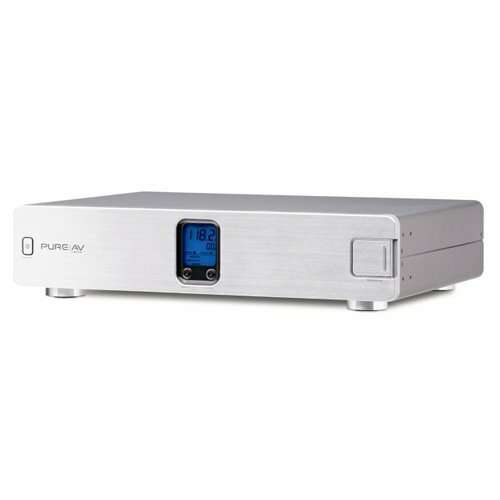 With a capacity of 330 watts this unit is geared towards entry level computers and home electronics. The Home Series also features easy to replace batteries for extended product life. Tripp Lite's premium UPS replacement battery cartridges breathe new life into UPS systems suffering from expired or weak internal batteries. Each replacement battery set is carefully configured to meet or exceed all of the original manufacturer specifications and ships pre-assembled and ready for installation into your UPS system. Reusable packaging holds expired batteries for recycling center delivery. Compatible with select UPS systems from APC and other major brands. See Tripp Lite's UPS replacement battery page to confirm compatibility and quantity required. Includes 18 month warranty. I bought this as extra protection for my Samsung 56 inch DLP and audio system.Compared to using a normal surge protector, the Monster HTS 2600 indeed provided a clearer picture, cleaning up the snow and artifacts.I haven't really tested out the audio yet.It's good for peace of mind, as I want to protect my expensive investment. I did not know which unit to buy for my Home Theatre, so I thought what the hell, I'll buy all of them, try them and see which ones works the best. Not being surprised with the results, I saw NO significant change in sound or picture on the 2600, 3600, or the 5100. But, I still kept the 2600 as it did look nice on my rack and it does protect from surges on your coax lines as well as your AC outlets. If you want a really good surge protector, then this is what to get, but don't expect any changes in your sound or picture. YOU SHOULD BUY THIS BEFORE ANYTHING ELSE.